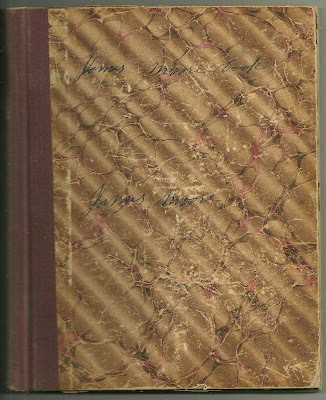 This post contains the entries James Moore made for August 1901. August 2. Finished haying to home today. Got 22 loads of hay and Scott bought 3 tons of grass of Leonard Garland. Laura and Vesta Moore went up to Leorenda Garland this afternoon. George Garland and Whit Garland has commenced cutting Alfred Garland’s grass on the Jo Garland place, so called. Ellsworth, Aug. 4, 1901. Sunday. Been down to the Chapel to Alder Garland meeting this forenoon. Went down to Uncle Charles Garland’s sand beach to see John Valentine and his wife and baby and his uncle. They are from Boston. Tenting out. 5. Sowed some English turnips. Letty Moore was taken sick tonight. Aug. 6. I helped Scott put up a stack of hay on Alfonso Frazier ‘s meadow. Leorenda A. Garland and children and Nora Moore went on Ridge Heath after blueberries. Letty Moore had Dr. Phillips tonight. Aug. 7. I helped Scott put up a stack of hay this forenoon. 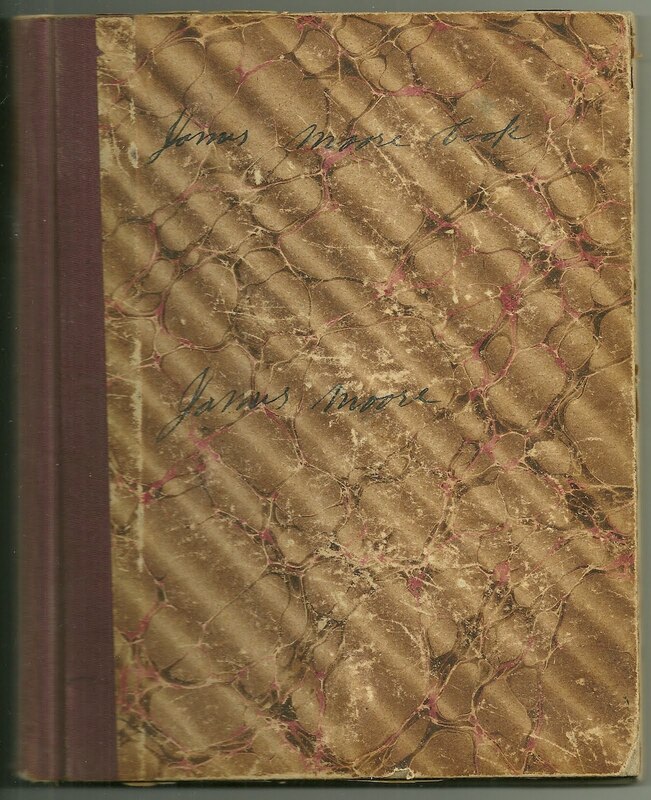 I went down to John Tourtellotte’s this afternoon and got Nora Moore. She has been down to see the girls. It rains hard at six o’clock tonight. Doctor Phillips was up to see Letty Moore again this afternoon. John R. Moore had to meet him at Brimmer Bridge. They are repairing the bridge. Howard Moore came up here tonight after some hops for Letty Moore and John Moore came up after him. The doctor says that Letty Moore has got the appendicitis. Aug. 9. Scott Moore and I put up two stacks of hay. Aug. 10. Scott Moore got him a pair of hind wheels for the team wagon. $13.00. Scott and James Garland hired a horse to Brimmer Bridge to go down town. Teams can cross the bridge tonight. Letty Moore is better today. Aug. 11. Laura Moore and I have been up to Mariaville to meeting. James Garland and Ada and Aunt Ede Charles has been up there, too. Aug. 14. Frederick Frazier and wife and daughter and granddaughter has been up to our house today. Aug. 15. Scott Moore and I been on the meadow [?] of hay, hauling up in Alfonso Frazier’s field. John Valentine took his gun to go a hunting from the sand beach where he was rusticating and got lost and laid out all night. Saturday, August 17. William W. Graves and Joan graves his wife come over from Brewer; Frederick Frazier took his horse and fetched them up to our house and then Fred pitched a load of meadow hay for us. That finished our meadow haying. Aug. 18. William Graves and I went to meeting. Aug. 19. Scott Moore mowed our oats and one pease of Hungarian. Aug. 20. Scott Moore carried William Graves & wife down to the Falls today. Whitmore Garland took his horse and went down to [? Ridge, Sedge Beech?] Pond and got John Valentine and wife and baby and his uncle and carried them up to his house to stop with them tonight. George Garland & wife and Clarence has gone up this evening. Wednesday, Aug 21. Scott Moore and I hauled in 3 loads of Hungarian hay. Whitmore Garland and Lorenda & Fanny and the Valentines went down to Edmund Hopkins’ in Trenton today. Ellsworth, Aug. 28, 1901. Letty B. Moore has been up here today. Howard Moore, Wesley Moore came up tonight with the white horse, and Nora Moore went down with them. Scott Moore and I hauled in two loads of Hungarian. We had six loads. Finished up haying. Friday, Aug. 30. I went down to the Falls this afternoon to get an anchor and some chains to move the house that Scott Moore had of John Moore. Aug. 31. Scott Moore and I been hauling the house today.